1984-2007 Allows the installation of FLH style Harley Davidson® stock hard bags,our stretched bags or leather bags onto your Softail, Fat Boy,Heritage, except Deuce. Made of high-quality steel. Black powder coated finish. 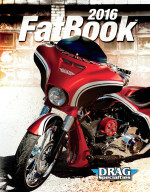 2008-UP Allows the installation of FLH style Harley Davidson® stock hard bags,our stretched bags or leather bags onto your Softail, Fat Boy,Heritage, except Deuce. Made of high-quality steel. Chrome finish. Softail Saddlebag Bracket System in Chorme Fits 200 Series Tire-SE- 2007-UP FLSTF, Allows the installation of FLH style Harley Davidson® stock hard bags,our stretched bags or leather bags onto your Softail, Fat Boy,Heritage, except Deuce. Made of high-quality steel. Chrome finish.